Weekly Benefits Category Archives — Page 2 of 2 — Iowa Workers' Compensation Lawyer Blog Published by Dubuque Workers' Comp Attorney — Tri-State Work Injury Lawyer — Gilloon, Wright & Hamel, P.C. Back on July 31, 2013 I wrote about the discovery requests that defendants ask injured workers in Iowa workers’ compensation cases. You can see that post here. Today I am going to talk about the discovery that I conduct on behalf of my injured clients in Iowa work comp cases. The two types of written discovery are Interrogatories and Requests for Production of Documents. In Interrogatories I get to ask the defendants specific questions that they have to answer. With my Requests for Production of Documents I get to require the defendants to give me copies of records and reports that are relevant to the case. This article is about the duty of defendants in Iowa work comp cases to make good faith payments towards accepted work injuries, and how I handle attorney fees in situations like this where an injured worker is already receiving weekly benefits. In Iowa workers’ compensation cases where the defendants have accepted or agreed that the injury was caused by work, the defendants have a duty to obtain impairment ratings to determine the extent of the injury, and a further duty to pay a reasonable amount of weekly benefits in the case. See for example Villea v. Lund Food Holdings, Inc., 737 N.W.2d 325 (Iowa App. 2007), Orris v. Kinze Manufacturing Inc., 742 N.W.2d 605 (Iowa App. 2007), and Williams v. K.W. Products, Inc., 784 N.W.2d 202 (Iowa App. 2010). However, the fact that an employer makes good faith work comp payments toward the impairment rating does not mean that the good faith payments are all that an injured worker is entitled to receive. In most case there is plenty of room for disagreement about the extent of the injury and the resulting amount of weekly benefits that should be paid. Do Your Iowa Workers’ Compensation Benefits Stop If You Are Fired From Your Job? The short answer to this question is, “Probably not.” There is a longer answer, and I’ll talk about that below. Part of the answer depends on whether you are receiving healing period benefits or permanent partial disability benefits at the time you are terminated. See here for a discussion and explanation about the differences between healing period benefits and permanent partial disability benefits. If you have already reached maximum medical improvement, and are receiving permanent partial disability benefits, then the fact that you are terminated will definitely not stop your benefits. As a matter of fact, if you are terminated it might ultimately increase the amount of permanent partial disability benefits you are entitled to receive. See here for my May 29, 2012 blog post that talks about how industrial disability injuries are valued, and explains that if you are terminated from your job that can be interpreted as evidence that your usefulness to an employer has been lowered by your injury, and this in turn will entitle you to a higher industrial disability award. There are a lot of dangers in Iowa Workers’ Compensation cases that can trip you up if you are not familiar with the system. There are also some nice opportunities that you can miss if you don’t regularly deal with the system. Today I am going to write about one of those lesser known options that can be very beneficial in the right case: the partial commutation. WHAT IS A PARTIAL COMMUTATION? A partial commutation allows an injured worker to receive a single lump sum payment rather than a stream of weekly payments; and also preserves the worker’s right to lifetime medical care for the work injury. How Much is My Workers’ Comp Back Injury Worth? People very understandably want to know how much they will be paid for their Iowa work comp injury. Therefore, this is a common question I receive early on in every case. In the Iowa workers’ compensation system there are two main category of injuries: Scheduled injuries and unscheduled injuries. The main differences between these two kinds of injuries are discussed in the workers’ compensation practice area section of our website. For purposes of this blog entry I am going to discuss the valuation of unscheduled injuries. The most common types of unscheduled injuries are shoulder injuries, back injuries, neck injuries, head injuries, hip injuries, psychological injuries, and chronic pain syndromes. The value of an unscheduled injury is basically the effect that the injury would have on an injured worker’s potential future earning capacity. The age of the injured worker: As the age of the worker increases the value of the injury generally also increases. Education: A higher level of education will generally lead to a lower value for the injury. Work qualifications and work experience: An increasing amount of work skills and experience will generally lead to a lower value for the injury. Motivation: An injured employee who is motivated to try to get back to work will generally receive a higher value for his injury than an employee who is not motivated. Loss of actual earnings: If a worker’s earnings remain the same or even go up, a worker is not barred from receiving workers’ compensation benefits. However, an actual loss of earnings will generally result in a higher injury value. Functional impairment from the injury: Although it is not controlling, a larger physical functional impairment will generally lead to a higher value for the injury. 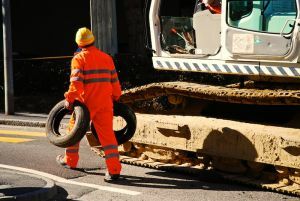 Work restrictions: The more severe work restrictions that are given, and the more they affect a worker’s ability to do his regular job generally leads to a higher value for the injury. Inability to engage in employment for which the employee is fitted: Part of this element relates to the fact that workers who have very physical jobs will frequently receive higher value for the same injury than workers who do office work. Additionally, an injury that knocks a worker out of his usual type of job is more valuable than an injury which a worker recovers from and returns to his regular employment. Whether the employer continues to provide the employee a job, or discharges the employee. If an employee is discharged because of the injury that will increase the value. On the other hand, if the employer accommodates the worker’s disability that will lower the value of the injury. Unfortunately, it is usually not possible to give a particularly accurate estimate of the value of an injury early on in a case. Obviously, the final result for many of the factors listed above will take time to develop as a worker goes through medical treatment and the healing process. Additionally, many of the factors can end up being disputed. Therefore, each side ends up presenting evidence including expert witnesses, and it becomes necessary to assess which side’s arguments are stronger on each of the factors. Another part of the valuation process is using my experience in trying cases in the workers’ compensation system to estimate how a particular claim will likely be decided by the Workers’ Compensation deputy commissioners.